Search Results for "get a taste"
Even when you can’t save your tree, you can save its wood! Why use the wood from your tree? Recycle Valuable Resources: If you don’t do something with the wood from your tree, it will most likely be chipped into mulch or made into firewood. With the large number of trees dying due to such pests as the Emerald Ash Borer, municipalities and tree care companies will soon saturate their outlets for logs and tree debris. By keeping and using the wood from your tree, you can assure it is put to the best possible use. Prevent the Release of Carbon into the Atmosphere: High-value uses for your tree, such as lumber and flooring, will store carbon for a long time. Preventing carbon from releasing into the atmosphere helps slow global climate change. Capture Memories: Craftspeople can create wonderful tributes to beloved trees. Whatever you make from your tree will capture memories and you will have a story to tell of the origin of your wood product. 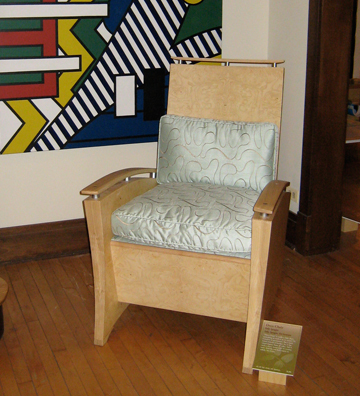 Many people, devastated by the death of a beloved landscape tree, have created furniture and art that have become treasured family heirlooms. Provide Teachable Moments: Recovering the wood from your tree can provide an opportunity to educate your children, grandchildren, neighbors and yourself about responsible stewardship of our natural resources. Support Your Local Economy: Using the wood from your tree will require the expertise of local arborists, sawmills, woodworkers and other businesses. Your dollars stay local, supporting the innovative and artisan businesses in your community. Maybe Save Money: In rare circumstances, you may be able to negotiate discounted removal costs if you keep the wood from your tree. Tree care companies estimate removals based on crew time, travel distance, equipment requirements and disposal options. If leaving logs, firewood or chips with you saves them time and avoids disposal costs, they may provide a discount. Companies that charge for disposing of your tree may waive that recycling fee. On the other hand, if extracting a log complicates a removal, it may cost you more. It’s Not a Moneymaking Proposition: It’s highly unlikely that you will make money salvaging the wood from your trees. Very few trees in urban and suburban settings have a wood value greater than the cost of removing, transporting and processing them. Even cherry, walnut and other trees with high value woods will seldom provide property owners with financial compensation. Why is wood harvested from landscape trees generally more expensive than wood from forests? In woodlands, trees can be harvested in volume; the economies of scale provide efficiencies, bringing down the cost. In contrast, in urban forests, removal costs are more expensive. Equipment and crews may take down only one tree at a time. Power lines, buildings and other obstructions can also complicate removals. Bottom line: It is highly unlikely that you will get paid for your tree or even get it removed at no cost. Whole Logs: You may want to use logs in your landscaping. Chainsaw carvers can also create art or furniture from the trunk or stump of your tree. Some people use whole logs in building construction. Chips, Mulch or Compost: When your tree care company comes to take down your tree, it will probably bring a chipper. You can ask the company to leave chips, but note that chips are not the same as commercial mulch. Chips are good for wooded and less manicured areas. They can also be used under playground equipment. Chips vary in size, whereas mulch is processed to be more consistent. Most tree care companies make mulch out of chips, and you may be able to negotiate a load of mulch, or even compost, as part of your tree removal project. By conserving water and soil, mulch helps trees live longer and and preserves landscapes. Mulch also reduces weeds and lawn mower emissions. Smoke Wood: Hickory, oak, pecan, maple and many fruit trees, such as ornamental pear and crab apple, make good smoke wood for grilling. A chunk of wood on coals can add a great flavor twist. Unlike firewood, smoke wood can be used green and can come from portions of the tree that won’t produce logs. Firewood: You can ask your tree care company to cut logs into fireplace lengths and leave them for your use. You may want to specify only smaller diameter logs that don’t need to be split. Otherwise, you’ll need to figure out how to split them yourself. Logs need to dry out before they can be used for firewood. It usually takes about a year before logs will make a good fire. IMPORTANT NOTE: To avoid spreading diseases and invasive species, do not move firewood. Always cut and use firewood locally. Lumber and Landscape Timbers: For the logs from your tree to be milled into lumber, the trees usually need to be felled as whole logs. Ask your tree care company if it has the training and necessary equipment to remove saw logs. 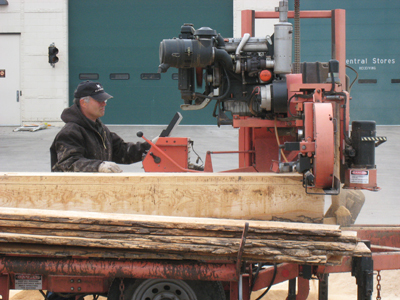 Harvesting log lengths may require specialized equipment, such as cranes.The lumber can be used as landscape timbers or indoor furniture, flooring and other wood products. For landscape timbers, the green, unfinished material can often be used immediately after being sawn. For furniture, flooring and other fine milled products, the lumber from your trees may need to be air or kiln dried and require additional specialized processing. 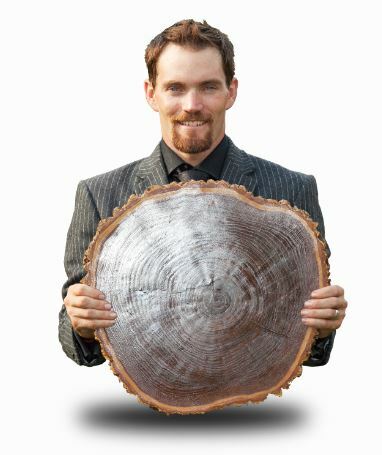 Air-drying can take months so factor the drying time into your project schedule.
. . . from the wood from your tree? Tree Parts: Your tree has many parts including the trunk, stump, roots, bark, branches, twigs and leaves. You may choose to use different parts of your tree for different things or you may choose to use only part of your tree and have the rest of it hauled away. Species: The species of your tree will impact what it can be used for. Your tree care company can identify the species. You can also consult the online guide from the Arbor Day Foundation guide: What Tree Is That? 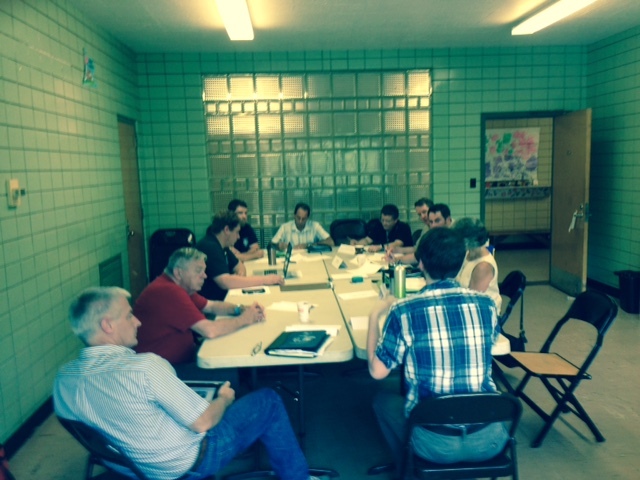 Consult with woodworkers to determine whether the species of your tree can be used for the purpose you have in mind. Ash, for example, is comparable to oak. It can be made into many beautiful and durable products, including furniture, cabinets, flooring, paneling and mouldings. Because of its high bending strength and shock resistance, ash is used in baseball bats, tennis rackets, tool handles and oars. Ash is also ideal for food bowls and spoons because it imparts little odor or taste. Since ash wood has no resistance to decay, it is not good for outdoor applications where it may become wet. For more detailed information on the uses for ash and other infested species, consult the USDA Forest Service publication: Wood Utilization Options for Urban Trees Infested by Invasive Species. For information on best uses for other species, consult Characteristics and Availability of Commercially Important Woods from the USDA Forest Products Laboratory. Saw Log Potential: If your tree is at least 12 inches in diameter and its trunk is at least 6 feet tall and clear of branches, cracks, rot and other defects, it may contain a saw log worth milling into lumber. Commercial wood products companies traditionally value the clear-grained wood of trees grown in forests and woodlots, where the fight for sunlight makes them straight and tall. Landscape trees, however, often grow in areas that are more open so they branch out lower, resulting in the creation of unusual knots and defects. Some artisans prefer these exceptional character marks and specifically seek out this wood for its unique qualities. Location and Logistics: Logistics may impact your tree’s reuse potential. If your tree is too close to buildings or power lines, the removal of whole logs may be difficult. In addition, you may need room to store the logs until they are processed or used. 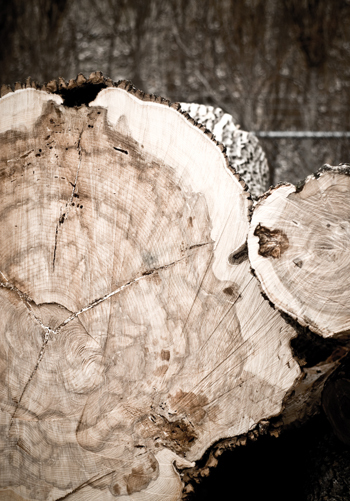 Tree Health: A tree that has been dead for less than one year can be harvested for lumber. If your tree has been dead for longer than that, firewood and chips remain the most viable options. If your tree is coming down because it is diseased or infested, the options for its reuse may be limited. Your tree care company should be able to consult with you about any transportation and reuse restrictions. Using Wood from Emerald Ash Borer Infested Trees: The Emerald Ash Borer feeds only on the inner bark of affected trees. It does not damage a tree’s wood. To slow infestation by the Emerald Ash Borer, the U.S. and Illinois Departments of Agriculture have established quarantines that regulate the movement of ash trees and products in areas where the Emerald Ash Borer has been discovered. Before moving any ash trees, wood or products from your property to other locations, please review quarantine restrictions at the Illinois Department of Agriculture EAB website. There are many steps between a standing tree and a finished product. Generally, the more valuable the use, the more steps that will be involved. If you would like to see your landscape tree transformed into furniture or woodwork, you may need to find the specialists and make the connections in the processing stages yourself. Accredited Tree Care Companies and Certified Arborists: Make sure to hire tree care professionals with relevant expertise and training. You can find accredited tree care companies and certified arborists through the Tree Care Industry Association and the Illinois Arborist Association respectively. Accredited tree care companies employ certified arborists who are trained in the proper care of living trees and the proper removal of dead and dying trees, but they aren’t necessarily experts in harvesting the wood from trees that need to be removed. They will probably be able to advise you on using your tree for firewood, chips, or mulch, but if you want to use your tree for higher uses, you may also need to consult and hire wood industry experts. Wood Industry Experts: To use your tree for lumber, consult a forester, sawyer or woodworker to determine the viable and appropriate uses for the wood from your tree. Your tree care company may be able to refer you to local area sawyers, woodworkers and wood product manufacturers, such as cabinet shops and flooring makers, that might be able to produce products with your tree’s wood. Sawyers: Once trees are felled, the next step is for sawyers to mill them into lumber. Landscape trees are usually milled with small, band sawmills, rather than by large, industrial mills. 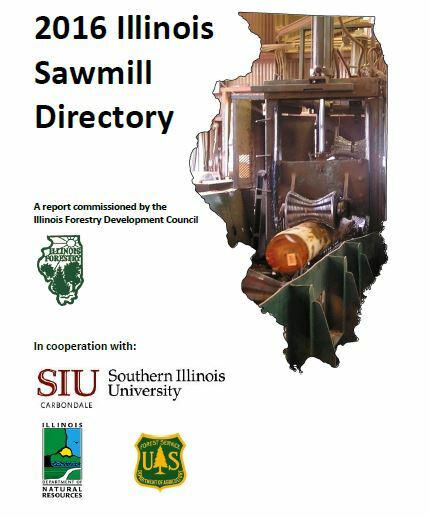 Download the directory of Illinois sawyers who process landscape trees on the sawyer page of the Illinois EAB Wood Utilization Team website. Some of the sawyers on this list also do woodworking. How can you make your tree into usable lumber? For best results, begin your planning with what you want to make and then work back through the process to removing your tree. Decide What You Want to Make: Consult first with your woodworking partner before your tree is removed and sawn into lumber. What you decide to make out of the lumber from your tree will impact how it is cut down and how it is milled. 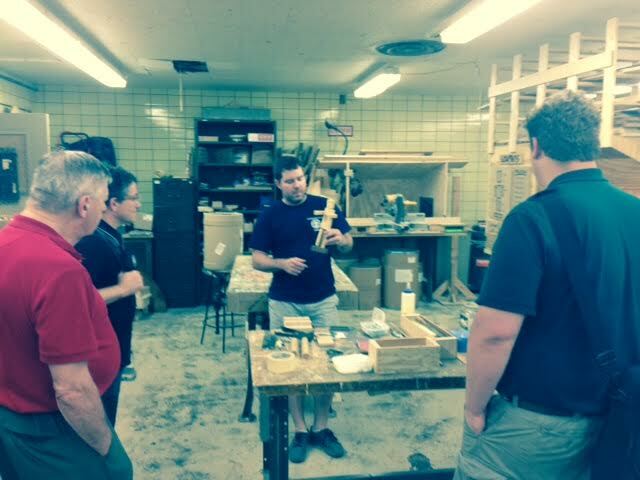 A qualified woodworker will determine the specifications required to produce the product that you want. Figure Out How the Lumber Will Be Sawn: Next, figure out how your tree will be sawn into lumber. Some local sawmill operators can bring a portable sawmill directly to your property so that your trees can be converted into lumber onsite. Portable sawmill operations may charge by the hour or by the total board feet of lumber produced. If you have a number of trees, this option may make sense. Usually, sawyers mill logs at their locations. So, either your tree care company will need to bring the logs to the sawyer or the sawyer will need to pick them up from your property or your tree care company’s storage location. 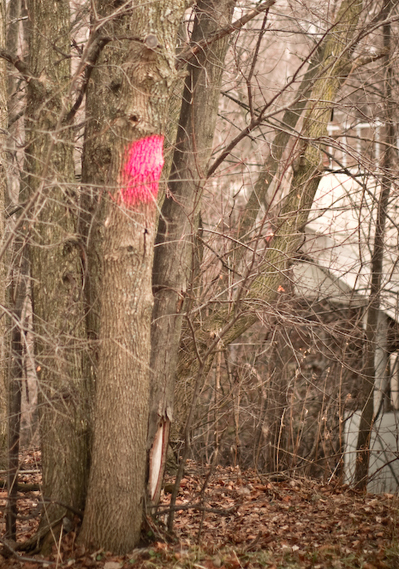 Coordinate with your tree care company and sawyer to figure out how this exchange will happen in advance of the removal. 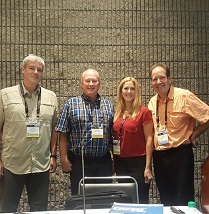 This information is provided by Illinois Wood Utilization Team, Metropolitan Mayors Caucus, Illinois Arborist Association and the Tree Care Industry Association. It was written and designed by Work In Motion and funded in part by the U.S. Forest Service. USDA is an equal opportunity provider and employer.